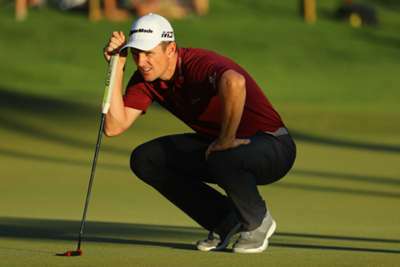 Justin Rose squandered a glorious opportunity to return to the top of the world rankings on Sunday as he capitulated at the Indonesian Masters. The Englishman reached the summit for the first time in September and required a top-12 finish in the Asian Tour event to unseat current number one Brooks Koepka. Sitting in a tie for fourth heading into Sunday's action, Rose looked well placed for a return to the top of the pile. However, the 38-year-old had a round to forget, kicking off with a bogey at the first before taking seven shots to complete the second and a nightmare eight at hole 12. The performance saw him go three-over for the day and left him in a tie for 17th - an agonising one shot off the top-12 finish he needed. Poom Saksansin won the tournament, going 20-under for the week.